Tributes have already started pouring in for the star, who died in a Joburg car accident. 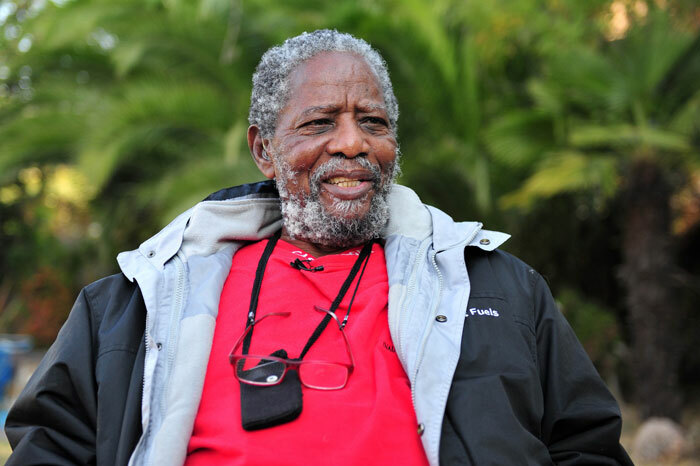 One of South Africa’s most well-known faces in acting and music, Joe Mafela, passed away on Saturday night. He was involved in a fatal car crash. Metro police spokesperson Edna Mamonyane told TimesLive in a statement that Mafela was involved in a car accident at around 10pm on the M1 North between the Oxford and Houghton Road off-ramps in Johannesburg. “We can confirm that at 21:45 on M1 North between the Oxford and Houghton turn-offs there was an accident between a Ford Figo and a bakkie which took place in construction zone. The Bakkie hit the Ford which caused damage to the left hand side of the Ford Figo. The driver of the Figo, driven by Mr Mafela, was declared fatal by paramedics on the scene. His fatal condition may have been a medical condition that was brought in during the accident but an investigation into this is now underway,” said Mamonyane. He had a storied career that covered film, television and the stage, also writing songs and producing films. He started acting in 1964, breaking out in his debut film, Real News. However, he will be most remembered for playing the character of Sdumo on the isiZulu sitcom Sgudi ‘Snaysi, which was very popular in the 1980s and early 90s. Tributes have already started pouring in on social media for the beloved star.